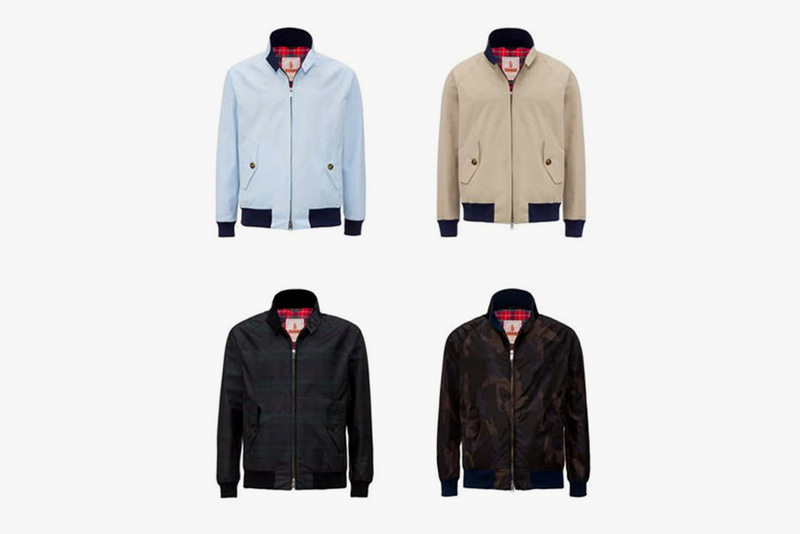 Baracuta Japanese Specials – Baracuta didn’t just stop with 3XDRY when it came to collaborations. They went all the way to Japan to team up with three of Japan’s biggest clothiers. The special collection with Japan include custom entries from Beams, Ships, and Barney’s Tokyo. Each company had the opportunity to dress up the venerable G9 wind jacket any way they wanted. 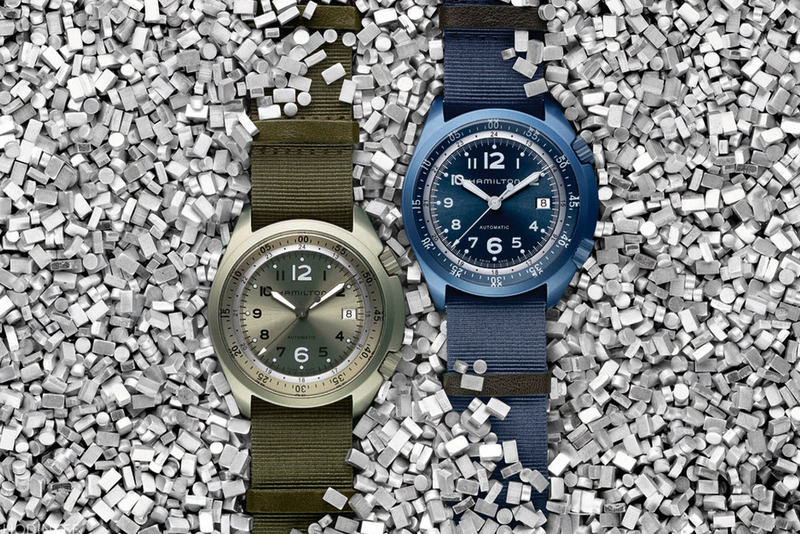 The light blue and the beige colorways are a bit pedestrian, but check out the camouflage and the Blackwatch tartan. 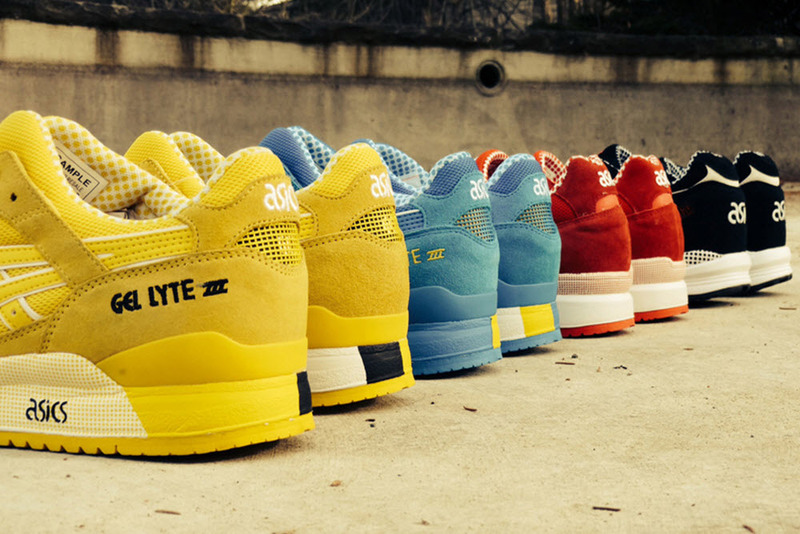 Four colorways make up the collection, and will all be available at any of the three participating retailers. Foodini – When entry-level 3D printers were introduced last year I couldn’t imagine making little vinyl figures of myself, printing a gun, or cat figurines. 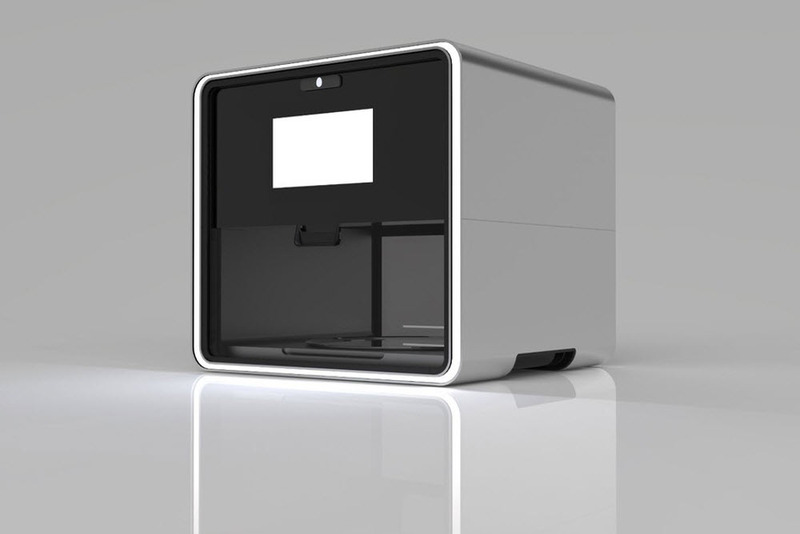 However, that’s about to change with the Foodini, a 3D printer that prints food. Just put in the ingredients, and kiss goodbye the additives from food processing. It all starts with putting the food into the Foodini’s oversize capsules. Each ingredient is placed separately, and some may have to be cooked. Place the capsules in the Foodini and wait for the printer to make stuffed gnocchi, dumplings, or a decorative holiday treat. You control everything with the Foodini. Hamilton Khaki Pilot Pioneer – With Basel in full swing everyone is reporting on the latest Panerai, the updated Rolex SeaDweller, or the chronograph Blancpain. It seems ludicrous to pair a five figure watch with 10.Deep floral shorts when you aren’t a rap mogul. So here is something that is reasonably priced, and can fit street style. The Khaki line from Hamilton is the American watch makers more affordable collection. It comes with over 100 years of experience, served in two World Wars, and comes with reliable, clean design. The new Pilot Pioneer is inspired by military time pieces with a simple and readable dial. There are two crowns, with one providing the time setting function, and the other operating as a 60-minute countdown. The watch is made from aluminum to help cut down on the weight. Look for the watch to release in olive green and a navy blue. Asics CMYK – Cyan, magenta, yellow, and key (CMYK) controls the visual world, and is the inspiration for Asics latest pack of classic sneakers. Look for the Gel Lyte III to be available in yellow and in blue; both pairs sporting suede and texture uppers that sit on midsoles that contrast white against the respective color. The Gel Saga is in an all black (key), while the GT-II is in a blood magenta. The collection is clean, and low-cut runners are perfect for the summer. 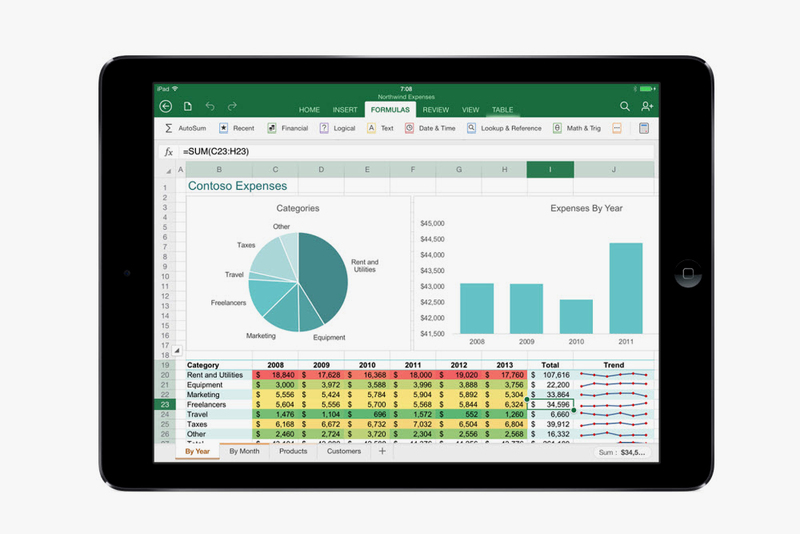 Microsoft Office for iPad – There are those who may be quick to quip that Apple already has alternatives to Microsoft Office in the form of Pages, Keynote, and Numbers: You are an idiot. 90% of the the corporate world uses PCs, and having Microsoft Office available on the best selling tablet in history is a big deal. MacBooks and iMacs both have MS Office available to them, but bringing Office onto the tablet platform took over six years. Microsoft wanted to create a seamless tablet experience and did not take the easy route by porting an existing Android copy to iOS. A lot of re-design went into this version to make it powerful, yet intuitive to iPad’s design. Look for Office to be available as a subscription program, but the good news is that you can get a year free by taking your iPad to any Microsoft Store (not many, but they do exist).